Most children have a favorite character. Suri Cruise seems to be into Froggy gets Dressed by Jonathan London... well at least according to this paparazzi picture of Tom Cruise and his daughter. When I worked as a Reading Recovery teacher, we discovered that using "series" books with our students helped them to be successful on new books. I remember one set of Rigby PM readers that featured Kate, Nic, and a brother (I can't believe it, but I forgot the brother's name). It seemed to help in building background knowledge for the students and generating interest in reading the books. Also, the students were able to read a book without stumbling around over the names of the characters and slowing down their reading. Using familiar characters with your read alouds can also help your child build background knowledge of the story and generate reading interest. Froggy is not only popular in the Cruise household, it's also popular here at the Higgins house. There are a slew of Froggy books. Logan LOVES David books. And even Tyson is starting to get into the "Diaper David Board Book series." We also love the adventures of The Five Little Monkeys. We are currently reading, Don't Wake up Mama! I also noticed on Amazon that a new 5 little monkeys book is coming out Fall 2011. The Five Little Monkeys Reading in a Bed. Have a feeling I will be a lovin' this one too! We also love Mo Williems! We love the Knuffle Bunny series, the Elephant and Piggie books, and the Pigeon books. We have mad love for Williems. It is interesting to see the characters the boys seem to latch on to. It will be even more interesting to watch those interests change as they grow attached to some characters and leave others behind. 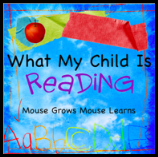 Does your child have a character she loves or a series of books he or she loves? Great post! We love Curious George over here! We read at least 1 a day! We just read our first Froggy book last month and I was so excited to find 2 more books at the latest library book sale. Curious George is also a hit! Thanks for stopping by my blog-- I also love to connect with other moms- especially book loving ones! Most kids just love familar characters. I did not know Five Little Monkey's had so many stories! We have a few. I wish I would've known about the others when my kids were little. These were some of their favorites. Little Critters are great too. I didn't know there was more David books! Agh! My poor ears! We read the two we've got every. single. night. Laughing here over your guilty pleasure! My housework is sadly neglected too! Oh, we have our favorites too. Arthur and Blue Clues books are popular as well as Froggy.